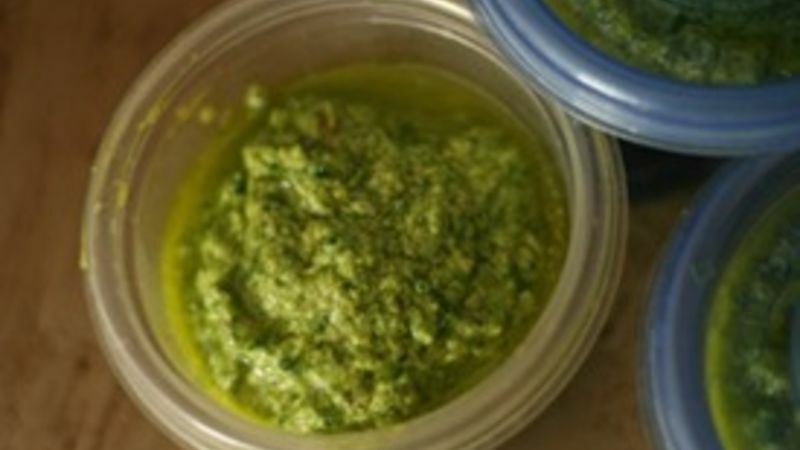 Add ramps, spinach, walnuts and salt to a food processor and process to a paste. Add oil and process again. To use: Mix with pasta (it's great with cheese tortellini!) or spread on bread. Store in airtight containers in the fridge for up to a week. Or freeze for later use.